Alva Beavers have adopted two of the planters purchased by the Community Council to brighten up Stirling Street and have been busy removing the summer bedding and replacing it with winter flowering plants. Nicol’s Opticians, Higglety Pigglety and some individuals have also adopted planters but the Alva Community Council is looking for more individuals, groups or businesses to volunteer to plant up and look after the remaining 17 planters. Please contact Lynn Cameron at Higglety Pigglety or phone Anne Spruce (01259 762612) if you are interested in helping to brighten up the main street. 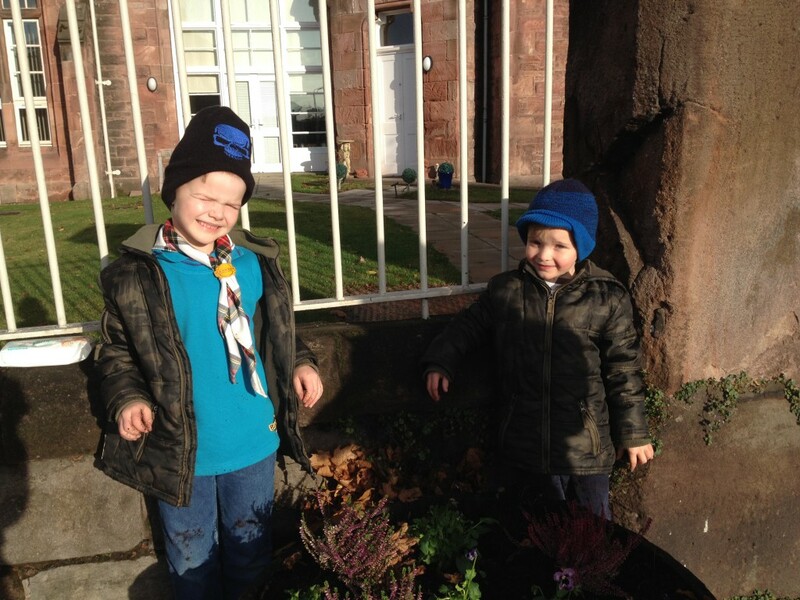 Pictured are busy Beavers Lachlan and Dermot planting up one of the tubs.